On Saturday we had some special visitors from Seattle, our friends the Hoseins. While Hanson and Heather took in a Broadway play written by their good friend, our kids got acquainted at Fry Lodge. And they got along famously. 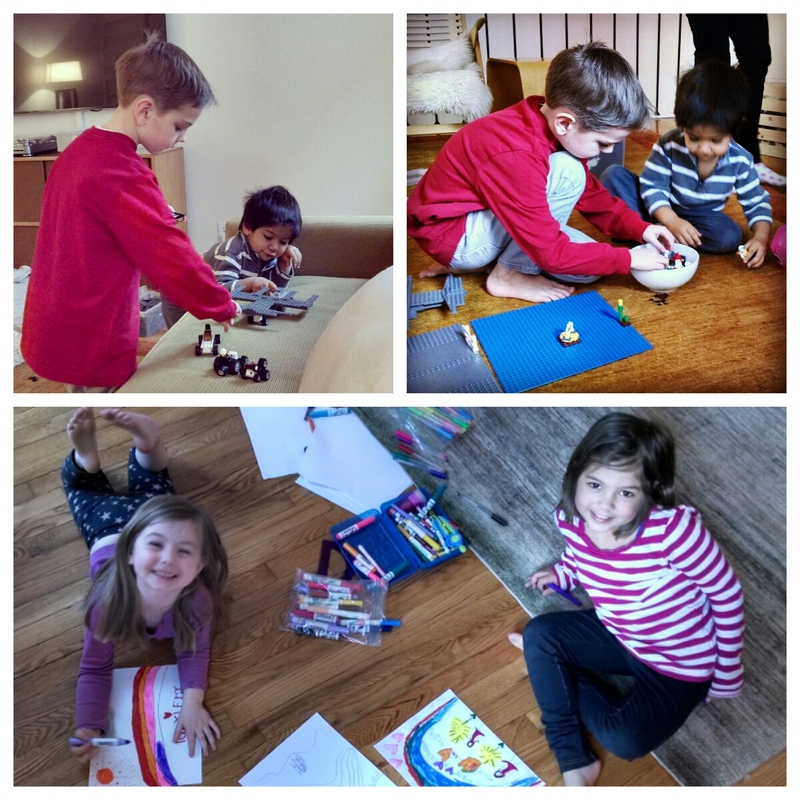 Ruby and Rosie were inseparable after just a few minutes, and Henry and Hendrix discovered a common passion in Legos. A great visit from a wonderful family. They all look so angelic! But we know! Seriously very cute kids and pic.